You are here: Virgin Islands News Online » News » Alfred ‘Al’ Henley 'to run things' @ Ports until decision on Claude O. Skelton-Cline contract! Alfred ‘Al’ Henley 'to run things' @ Ports until decision on Claude O. Skelton-Cline contract! ROAD TOWN, Tortola, VI - In the continued BVI Ports Authority (BVIPA) drama, our news room was once again flooded with calls from staff at the BVIPA and even some Board members about the ongoing issues at the Ports. They have alleged that the Managing Director of the BVI Ports Authority Claude O. Skelton-Cline’s contract has not been renewed as it is stuck in Cabinet. Our newsroom’s cabinet sources have confirmed that the paper advanced on the agenda by the Minister for Communications and Works Honourable Mark H. Vanterpool (R4) a few months ago is still in Cabinet but has been deferred on more than one occasion. 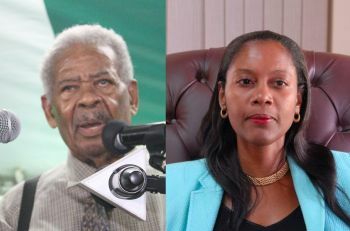 They reported that the Cabinet appears to be split over the renewal of Mr Skelton-Cline’s contract and the United Kingdom appointed Governor John S. Duncan OBE has reportedly placed on record his objections to the renewal. It is unclear what are the issues even as our newsroom is doing some more investigations. There were also ideas advanced about transferring the Managing Director to the H. Lavity Stoutt Community College, however, it is unknown if those suggestions are still active, or if they were ever taken forward to the College Board or President. While the fight continues over Claude O. Skelton-Cline’s contract renewal, in an internal Email forwarded to our news room, the staff at the BVI Ports Authority was informed that the Deputy Director Alfred ‘Al’ Henley will be in charge until further notice and all questions must be referred to him, until the contract of the Managing Director is addressed. Mr Skelton-Cline is reported to be still driving the Ports vehicle and he was spotted in office one day this week, according to our BVIPA sources. There are also reports that currently the BVI Ports Authority is allegedly being audited. It remains unknown who ordered the Audit going back to 2013/2014 or if it’s a local or overseas firm carrying out the exercise. 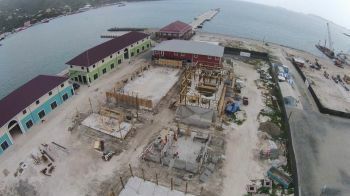 The BVI Ports Authority Pier Project was in the news following the 2011 general elections after two damning reports. One was conducted by the former Virgin Islands’ Auditor General Ms Sonia M. Webster and the other by the House of Assembly’s Public Accounts Committee chaired by former Leader of the Opposition Honourable Ralph T. O’Neal OBE. The Auditor General's Report on the Ports Development Project unearthed corruption, conflict of interest, disregard for the laws of the Virgin Islands, unfair practices, undue influence in favour of one developer, disregard for the established tendering process and that no one was looking out for the interest of the people and taxpayers of the Virgin Islands, putting the people at a disadvantage. 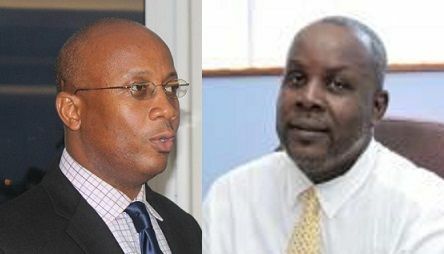 Following that report the Public Accounts Committee’s (PAC) conducted its own independent investigations and agreed with the findings of the Auditor General's Report of widespread corruption which was substantiated by the evidence furnished to the Committee from Board Members, Ministry of Communications Officials and former staff of both the BVIPA and its Board. Meanwhile, the landside development of the Ports Pier Project is expected to be opened on December 22, 2015. His own men are treating him like that? He deserve it what go around come around. Doc Pic and Ron want to save him they stupid country first not friend and that is what will kill the BVI. The man have to go or the NDP will be embarrass later on. AL is your man give him a chance. Really we don't want someone with AL's history leading the BVIPA. So no he is not our man ! Why is he still driving the vehicle if his contract is up? Who is paying for that gas? Suppose he mash up the vehicle, who will pay for it? No, what if someone gets hurt in an accident. Then the insurance company will be in their rights not to honor any claims because legally he is not an employee of the Ports. The Ports lawyer should advise him. The Ports is a glutten for lawsuits. With all due respect, they could care less because ultimately, the PEOPLE will be (once again) left holding the bag and responsible to pay whatever fines and damages are awarded. If i see him driving it i would willfully stop infront of him to cause an accident. That port project is good & needed but too much confounded corruption inside. Could this be a contract stopper? "every dog has his day"
Now i see why Ed hauled @$$. They better leave CSC alone because if CSC goes down then there will be a serious domino effect. SMH. What a disgrace the way the port project is being handled financially. Absolutely no transparency & accountability! So which means we wont be having that margaritaville restaurant again? I wonder what he did buddy???? Well well well...the TT Minister in trouble again. As usual he will talk & negotiate his way out of this mess. He always does. Can someone tell me who is the tt minister is it fahie or fraser? "whats in the darkness it must come out to light"
They robbed the tax payers I hope they will think on that the government is doing too much under hand things behind close door I hope I will stop now that this /////is no longer there. MR HENLEY please do what is right and do not let no one lead you astray. Well we all know what connections that one has, is corruption galore coming soon to a theater near you. He geh wha the duck geh. barge, ferry, house, contracts...what else? I hear the badge Cuban that is why the practitioner fighting so hard to keep him. We heard that a speed boat was purchased for about 80,000 cash. That's what you call "Living Large". For the ...what else? Ask school children. They always know. "santa say no more, granny keep your ears to the ground"
This portfolio needs taking away from mark pending an investigation. "more in the morta than the pessle"
LOCK UP TODO EL MUNDO! I will say it one more time. Anything they run or take over that was running good they drive in reverse. From the Port to CCT to Village Cay. I can go on and on there are bad story to be told. They are not Cable.. They don't believe it. If this man has no contract then he is not an employee of the Ports. So why does he still have the port vehicle driving up & down? Why is he being allowed on the ports inner compound? Why does ge still have access to private areas of the Port? This is not right. I don't think you will want OJ to use that job to campaign against Frazer at all but Frazer will mash him up during the standing finance committee and commission of inquiry stages. Do not put that man back in there. henley will fight off those w***e captains if they talk too hard to he. 2 of the same kind--I will say no more. Between you and I & no one else I found a lot of the missing money in my dream. I dreamt that other than all who build new homes, bought homes abroad & so on also have most of the money in many Swiss accounts all over the USA & OTHER COUNTRIES. One set even getting theirs pay to supplies for products to have so many big sales but I don't know who that is so I going back to sleep to see if I dream some more to find out so I can come back to tell you. But shhhh......that's just between you & me...don't tell nobody what I dream. Lord save or Queen,the governor involve,Election is here again I bet he do his inquiry now.You all see why election was call so early Barry say ya will hear..
Why is the Governor in the affairs of running our country? Why are our people always running down to the Governor giving him stories on our people? Are we still under colonial rule? You mean to this day and age, Virgin Islanders don't know how to shut their door and lick them child? House slaves, please come out of the house. The big house been closed a long time. Join your tail in the field and start to work with your brothers and sisters. Let's hold one head. They can't beat us then. Ole set ah moo-moos like the idea of bringing down our own while others on the side laughing at us... Give me my own any day will keep the white heads away. This is not about the Governor. Tell the NDP stop thiefing we the people's money & we will not have to call the Governor for anything. The reason the Governor has gotten involved is because only he can instruct the police to investigate a government. Why must the government be investigated? BECAUSE THEY ARE STEALING OUR HARD EARN TAX MONEY! That's why! Al is the only one smiling in the photo. From 2013 at the noel lloyd positive action psrk meeting i heard sam henry telling the minister mark vanterpool claude o skelton needs to be fired.what is it then from 2013 did sam henry from the speak your mind show must have known something.2015 sam tell the people what you know.i want to see your blog sam. “I’m going to make a statement and I’m being real calm with it and please don’t take it personal. The Ports Director, Mr Claude Skelton-Cline, needs to be fired,” the talk show host and taxi driver stated to loud applause and cheers from those in attendance. So from 2013 this questionable behaviour going on and now they acting as if this is a new issue. Claude Cline has nothing to hide. The Governor just come and its what they are feeding him but the truth will come out. The NDP dig two graves when they were digging one for the VIP, they are falling right into it now. Look at how they deceived the people with that NHI crap. If the Financial Services Commission is keeping Colonial you must know the NHI is crap, robbing the poor. NDP is dead. It's sad that everyone gets on here and blog based on your preference for a person and not knowing the facts. None of us have the facts but I will say, I know that Claude has nothing to hide, maybe someone should ask the honorable minister and his contractor if they got something to hide and that is why they don't want an investigation. God sits high and look low. You must be a family member, church person or a crony defending...God sits high and looks low but he also does not like evil pr***hers who are NOT God fearing. Go ask a question and stop making comments based on your personal relationship with these good talkers. BVI politics is too warp in family politics to be effective. Close family ties are getting in the way of some decision making. Decisions cannot be made on merit because of family repercussions. This personal interest hurdle has national interest implications. Decision makers have to think of what is going to think about home prior to making decisions. And you had CSC ears so? The MCW and first lady can only hide things for so long. You don't mess with God's annoited. There is not one person in Government who can articulate as good as the Managing Ports Director. He went all over the world negotiating those contracts resulting in a cruise ship in the harbor everyday. The current man in there definitely cannot speak, joke all over. So let the NDP continue on their downward spiral. Claude can get a job anywhere. Undoubtedly, the Port Pier Project and Land Side Project are to vital projects to strengthening and deepening the tourist product. However, regretably, from the onset there were dark and gathering clouds swirling over the project(s). There was too much unnecessary secrecy and lack of transparency in rolling out the projects. The Auditor General and Public Account Commitee reports should have been cause for further investigation. But the Governor blink, probably playing politics and lacking the courage to act, refuse to commission a Commission of Enquiry(s) to lol into the allegations. Instead, he refused to act on these two projects, as well as the Sea Cow Bay project. Was the Sea Cow Bay project thrown in as a red herring to calm the waters? Do not complicate my tropical vacation. If the claim is true that the governor is averse to the contract renewal of Claude O. Skelton-Cline, what are the grounds for Montreal? Further, if the MCW knew he did have the support, why exercised the process by taking the reappointment to the HOA? Was it to show solidarity and shift blame? Effective organizational functioning requires stable and competent staffing. The public sector staffing is dysfunctional with too much political interference. The BVIPA MD, and Guy Hill at Immigration are two examples of poor staffing management. Staff are treated like disposal items. Nonetheless, staff are human beings with families and emotions and should be treated as such. Treat them with respect and professionalism and not like disposable items. Karma. What goes around comes around. @political observer. What was really the problem with the man who used to be in Immigration? SOMEBODY EXPLAIN OR I WILL ASK THE GOVERNOR TOO.. WHY WE DON'T HAVE A PORT CHAIRMAN? Why we don't have a Port Director? GOVERNOR Please ease the people mind's they think you are a bad man.GOVERNOR set the people free for Xmas..
Pastor Skelton God will make a way, there always a bright light on the other side. Keep on keeping on. Go repent and stop encouraging corruption. Some of you all will go to hell following man. IF ClAude Skelton Cline did such a Wonderful Job at Port,WHY let his contract run out ? Do he have a Family to feed? Or Mortgage to PAY the NDP really thow that F....ha under K S party Bus..Madness.. The hidden microphone at Prospect Reef Conference room will provide a whole lot of information on his recent meetings with Port personnel. Ayo feel me or wha? What!! His contract is up,he was paid in full what's the Blah Blah now.He shouldn't have anything to do with Port Personel ,this is what the GOVERNOR is talking about Corruption.. Sorry my cousin Andrew,I will kiss you now you were correct about the corruption I hanging my head in shame,poor NDP..
A degree in theology and religious education without experience in the ports field should never equal to a job as the head of the ports. This is the kind of political B.S that has been allowed to happen for too long. The same cronyism which has resulted in poor infrastructure and great financial loss in the territory. Follow the money trail. Figures don't lie. But too often the liars does the figures. How come the ndp does not have the balls to fight the governor like they fight and vitimise the locals? Wah happen? somebody hand get stick in the cookie jar? Old father contract up he gone. This must me the most comments I've ever seen on this site, but maybe i'm wrong. People always find the best and worst in others, no matter the circumstances. This is what makes comments inevitable. Let both of them go. Where is the Board in all of this. Didnt they have a say in all the decision making when it comes to issuing contracts and authorizing payments. All members should be held accountable. Where is the Board in all of this. Didnt they have a say in all the decision making when it comes to issuing contracts and authorizing payments. All members should be held accountable. Each and everyone of them are at fault and should be held liable as well. I SO AGREE WHERE IS THE BOARD THEY NO EXACTLY WHAT WAS GOING ON.THEY GIVE A CONTRACT FOR A MILLION DOLLARS OVER THE BEST AND MOST QUALIFIED CONTRACTOR AND WE WONDERING wea the money gone,pay BACK from cutting my foundation for my house who cares.. If it was a white man in there bvislanders would not have a dam thing to say. But one of our very own and its ostracizing. We can never rid ourselves of that slave mentality. We will turn on each other for a trinket. Sad days in the BVI. Can you say "witch hunt"? They want the job for their other NDP friends, that is all. Those who hired the man with a hefty salary after big consultant contract should be punished. All came about because he ran with the party and lost. That was their way of repaying. There were qualified persons for the job but that is the way the NDP. Behave. Only the people in their party must live. That is the reason for NHI. They are making shure that the people who follow them have insurance at the citizens expense. Make sure you get some council from Mr Gene Creque, Mr. Henley he can help you to understand and make your job easier.may be the present Government can give Mr. Creque a short contract for him to assist while they make their decision. we have not address entrenched problems that have defied progress for decades at teh BVIPA.